When I was a kid, stores would publish a Christmas catalog called a Wish Book, and every kid made a wish list. As a kid, I couldn’t wait for Christmas. Hoping for a new bike or a new game or a Red Ryder BB-gun. I loved Christmas. Being out of school and being with my family. The house filled with the smell of fresh baked cookies and the scent of a live Christmas tree. My mom went all out decorating the house, inside and out. She won the award for the best decorated house in town several years in a row. And my dad loved Christmas too. He always got us a family surprise, like a family game that we would play for hours. I have fond memories of Christmas. Perhaps you do too, or perhaps you don’t. 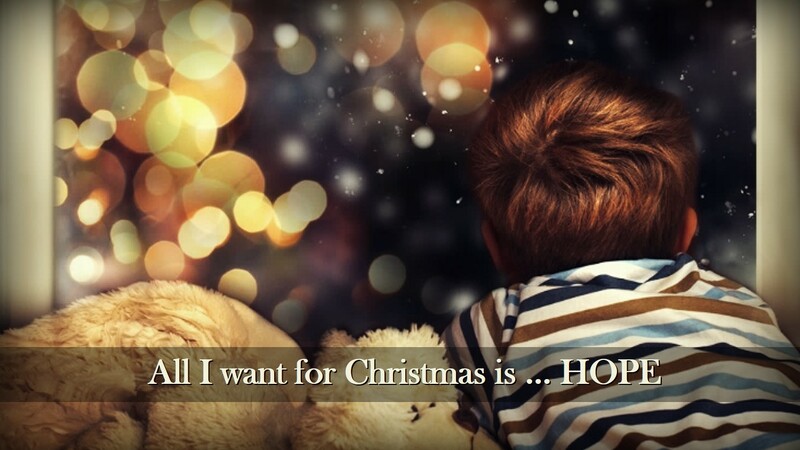 I believe that one reason we look forward to Christmas is because all of us are longing for something. We’re longing for something deeper, something that doesn’t come in a box. Every one of us want to feel loved, and we want to be close to those we love. We long for joy. We want to be happy, because maybe last year was not so happy. We long for peace. We want relief from the stress and relief from our problems. And we long for hope. With New Year’s tied to Christmas, we hope next year will be better than last year. Think about that list. Love, joy, peace, hope. We’ll never find those things in a box. The reason we keep going back to the Christmas story, to the birth of Jesus, is because it tells us that we are loved. It tells us that there is joy and peace and hope. And we have come to believe that only Jesus can satisfy our deepest longings. So, this Christmas – as you say “all I want for Christmas is …” – remember that nothing in a box will satisfy what you’re really longing for. Only Jesus can satisfy your deepest longings.